Our consultancy embeds services and products that fit in your long term goals. We study your vision and your market, and deliver to you a tailored digital roadmap. We focus on your commercial strategy and processes. Understanding your work, your products and your ambitions, we design a vision, milestones and indicators to get to it. This strategy underlines a fully operational coaching, with progressive deployment of digital solutions designed for you. We reach the milestones together, one after another. This is « soft digital power » delivered to your business! Your digital ecosystem is set up and fueled by our magic words and images. E-mailing, social medias, BtoB or BtoC communication and marketing, e-reputation and influence campaigns, full content strategy and inbound marketing… We got it in the tool box, and can be operational for partial or complete outsourcing. You focus on what matters the most to you. Our digital agency designs websites, with improved patterns and that special atmosphere proper to wine and food products. We usually include websites in a full digital strategy. Our experience shows this is the good way to make the most out of your digital ecosystem, with no stand alone solutions but a coherent architecture. Your website is not only a window, it targets commercial goals. An essential digital consultancy which fit with our brand development strategy. It all started with a Loire appellation asking us to design an app that could let winemakers easily share their pluviometer measures. 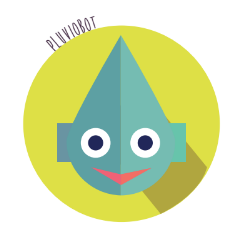 PluvioBot is the first of our bots. Works on SMS and robust on low-service connections, the kind of assistant you need in your remote vine plot. Think e-commerce for wine and food, what comes in mind is an eshop embedded on your website. We do it well and it can be part of your Element website. But we have several other ways to sell your products online. We developed these tools for clients needs, and they are now packed and ready to serve your digital sales!